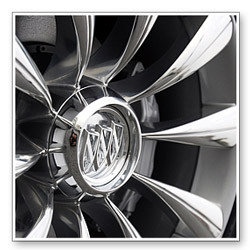 Wolfgang MetallWerk™ Aluminum Compound is a strong aluminum pre-polish that powers through oxidation and discoloration on aluminum to create a smooth, uniform finish. This is step one of a three part restoration process that results in a high impact, incredibly reflective shine on aluminum trailers, wheels, trim, boats, aircraft, and more. 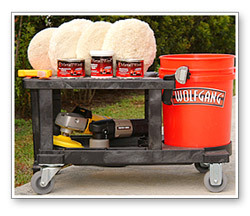 Wolfgang MetallWerk™ products will restore, clean, polish, and protect your metals. 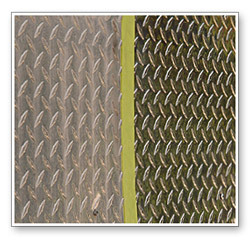 Before (left) and After (right) results from using Wolfgang MetallWerk™ Aluminum Compound. 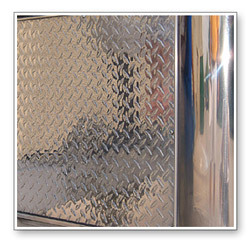 Wolfgang MetallWerk™ Aluminum Compound is step one for severely oxidized or never before polished aluminum surfaces. 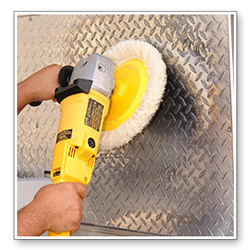 This is an ammonia-based, abrasive polish designed to remove rust, water spots, and stains from weathered aluminum surfaces.This is the same aluminum polishing technology used by major aircraft manufacturers. 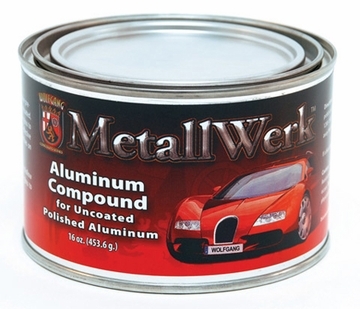 MetallWerk™ Aluminum Compound can also be used on chrome, copper, stainless steel, and magnesium. 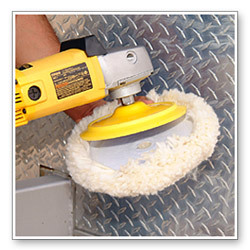 The diminishing abrasives quickly level surface rust and polish away spots and stains. You're left with a clean, satin finish. To get the bright, reflective finish of new aluminum, you have to use step two, Wolfgang MetallWerk™ Fine Aluminum Polish. 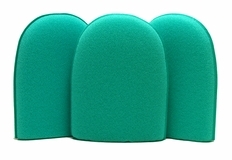 Wolfgang MetallWerk™ Aluminum Compound should be applied with a dual action or rotary polisher. A dual action machine, like the Porter Cable 7424, may not have the bite to remove severe stains but it will greatly improve them. 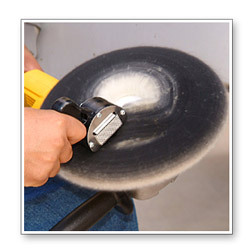 If you have a severe case of oxidation on your hands, we suggest using a rotary polisher. 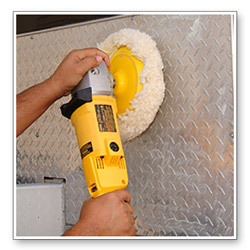 If using a rotary machine, the same rules apply as if you were polishing paint. Keep the polisher moving at all times. It can burn the metal. If this happens, allow the area to cool. Then go back over it with the polisher to remove the burn. Note: It may take several passes to completely remove severe oxidation. 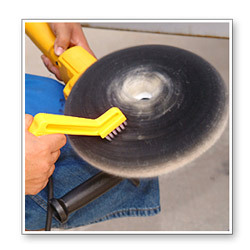 If the pad becomes caked, hold the Foam Conditioning Brush to the foam pad while it spins at a low speed. Be sure to keep your hands clear. 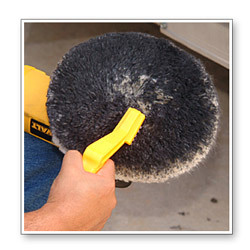 Use a steel brush on a wool pad. 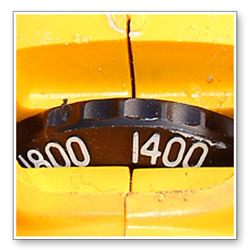 Tape off the paint or plastic surrounding the area to be polished. Wipe a thin layer of Wolfgang MetallWerk™ Aluminum Compound on the desired surface. 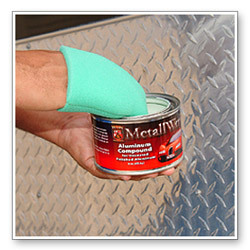 Use a finger pocket or foam applicator to apply compound to the surface. with your rotary to work in the compound. 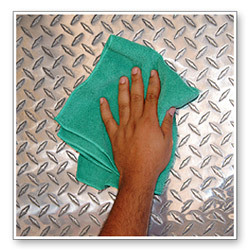 Polish until your surface appears to be clean and glossy. It may take several passes to completely remove the oxidation. if stains or oxidation are still present.